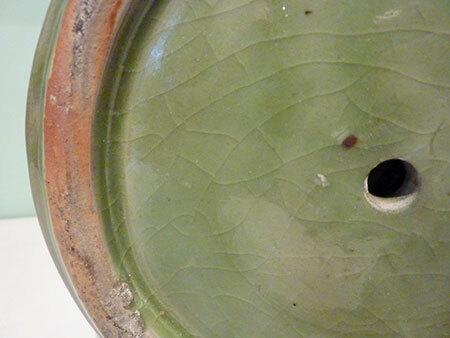 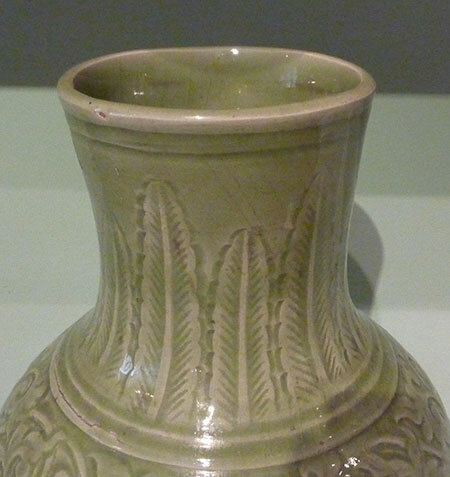 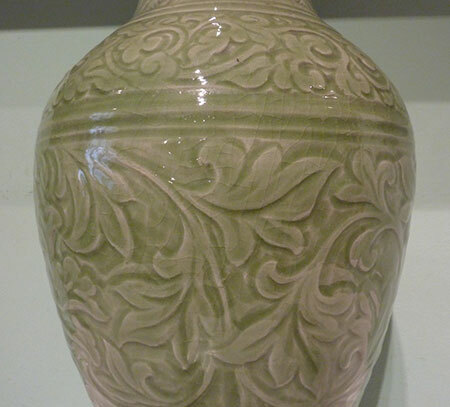 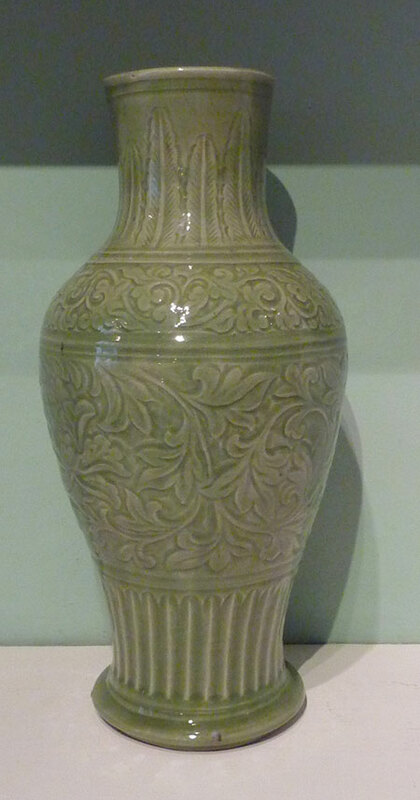 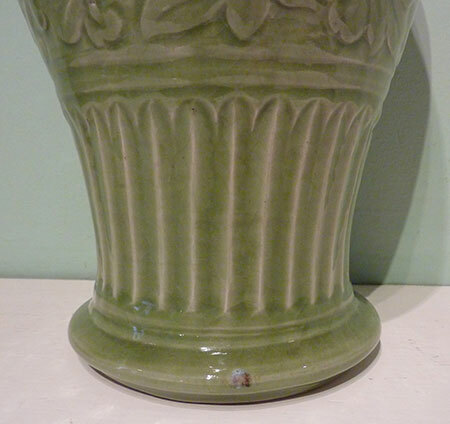 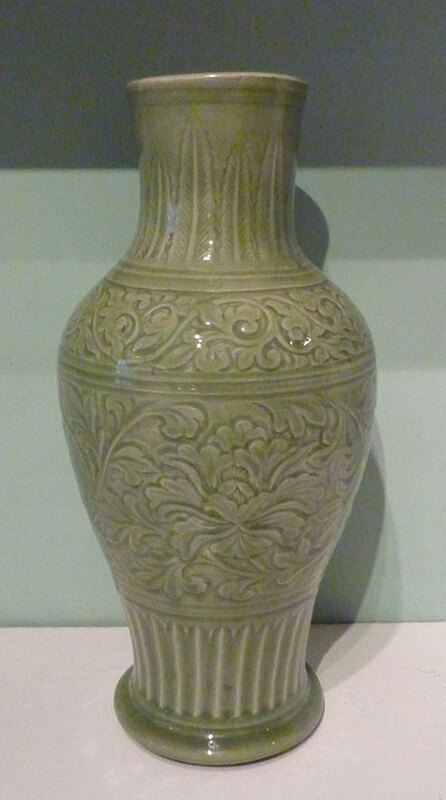 A fine and large Chinese longquan celadon baluster vase well carved with dense peony and leaves below scrolling foliage on the shoulder and stiff leaves on the neck. 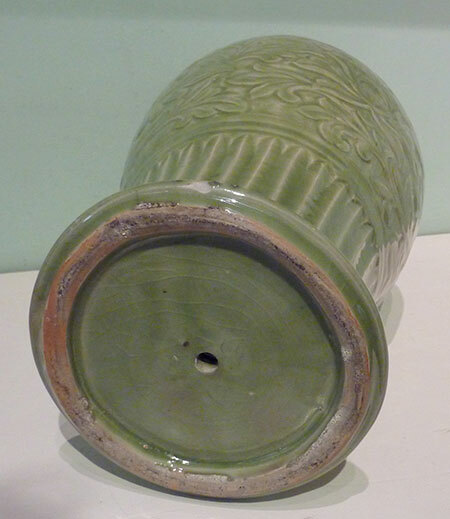 Firing crack to the shoulder, small glaze flake to the foot, base drilled. 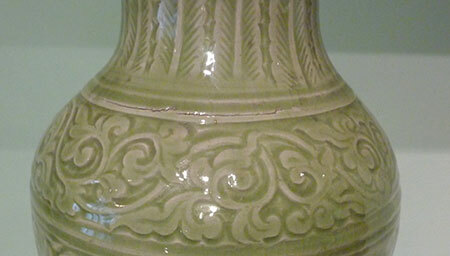 Provenance: From a Jersey, Channel Islands residence where it was in use as a lamp.